Spyce is a Boston-based restaurant, backed by Michelin-starred chef Daniel Boulud and founded by MIT graduates. 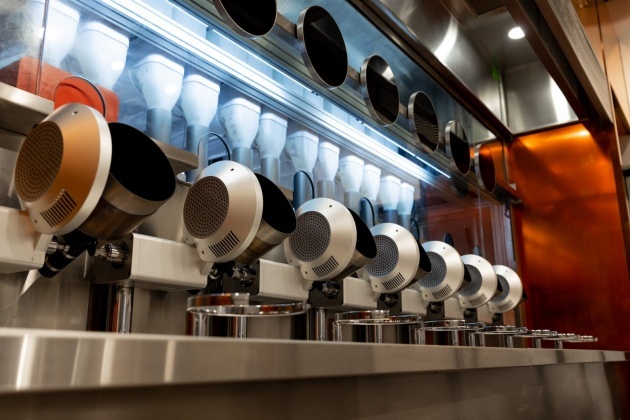 The newly-opened establishment uses robots to produce healthy fast food at affordable prices. All bowls include ingredients such as roasted chicken, sautéed kale, balsamic glazed Brussels sprouts and pomegranate seeds. The prices are lower than at similar venues as the robots save on labor expenses. Spyce’s robots can cook meals in two minutes and they clean themselves.